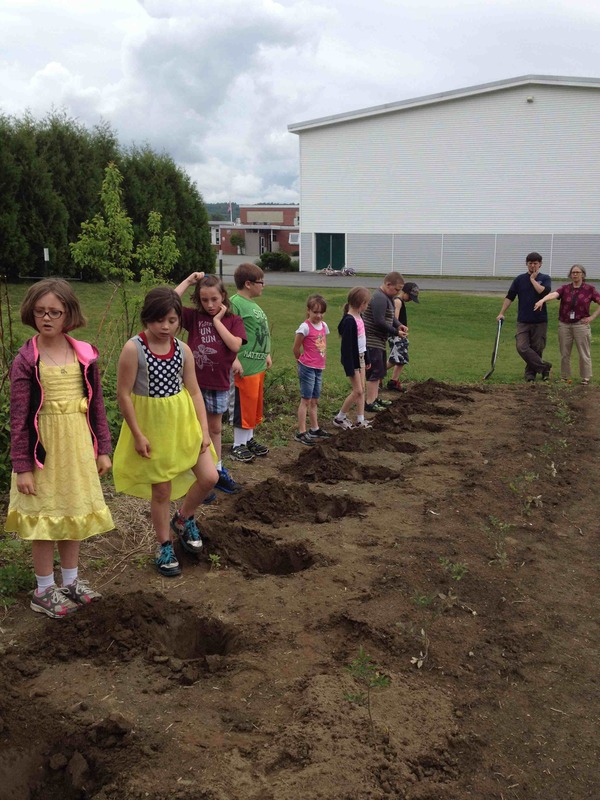 Third grade basil planters came out to the garden to put in one more row…..this time they alternated basil and tomato plants. 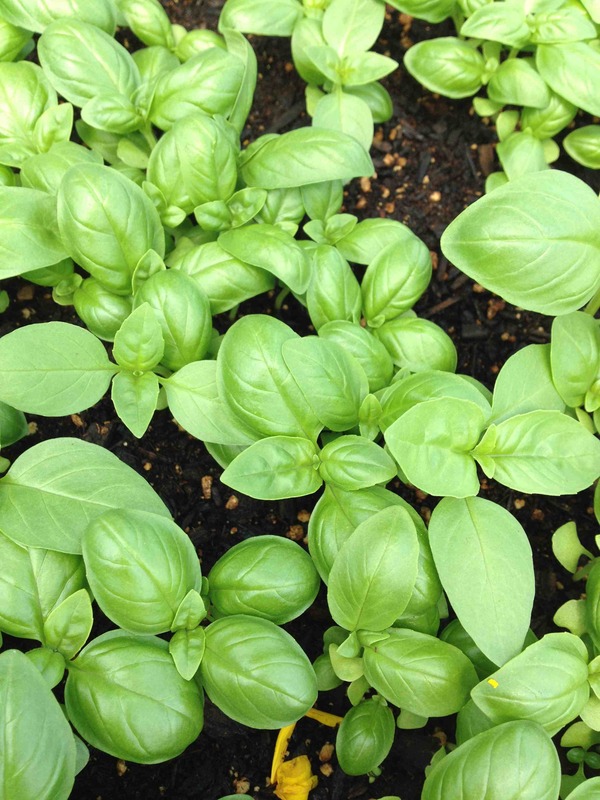 We’ll see how these plants grow as companions and we’ll compare them to the plants in straight basil or strait tomato rows. Let’s hear it for diversity among species!! 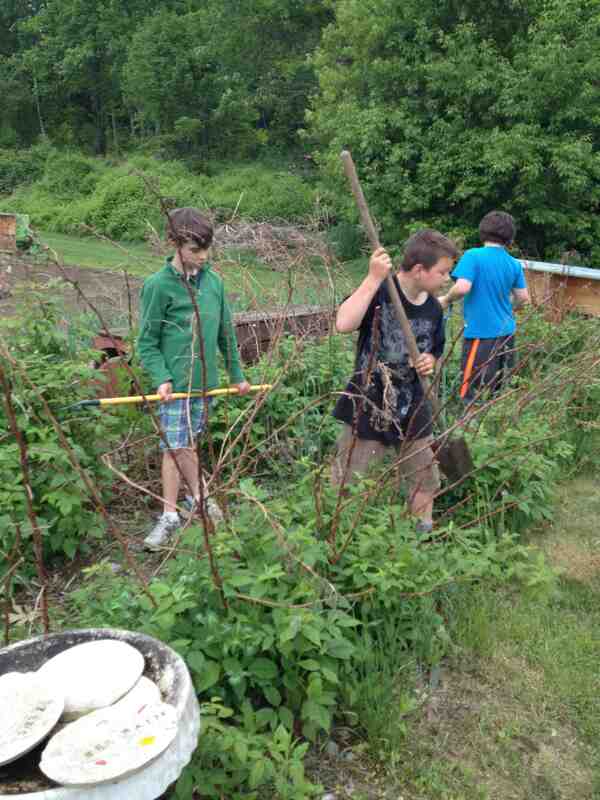 On another experimental note, we’ve staked the raspberries that were divided last fall. (Click on photos to enlarge). 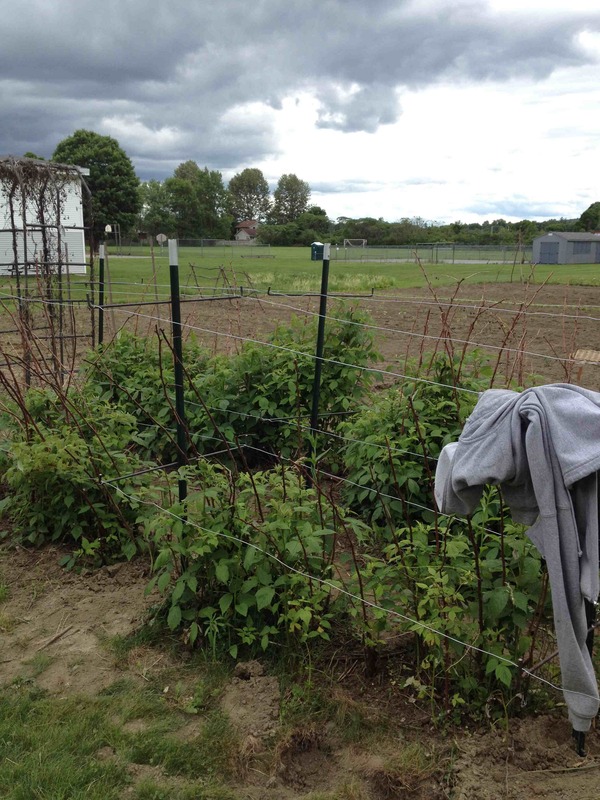 If you want a detailed look at the method we followed, go to You Tube and search for: Staking Raspberries using T-Posts and rebar at growingyourgreens.com. We have parent, Jon Taylor, to thank for all the welding expertise. 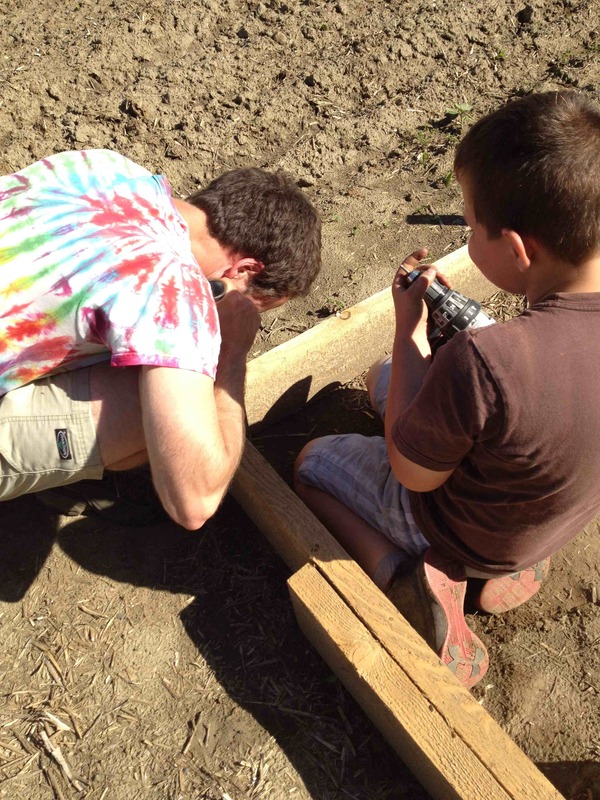 Hunter Sherrod, WCS student alum, dug the post holes and set the stakes as part of his high school community service. I ran the wire…next time I’ll get stronger hands for that job. 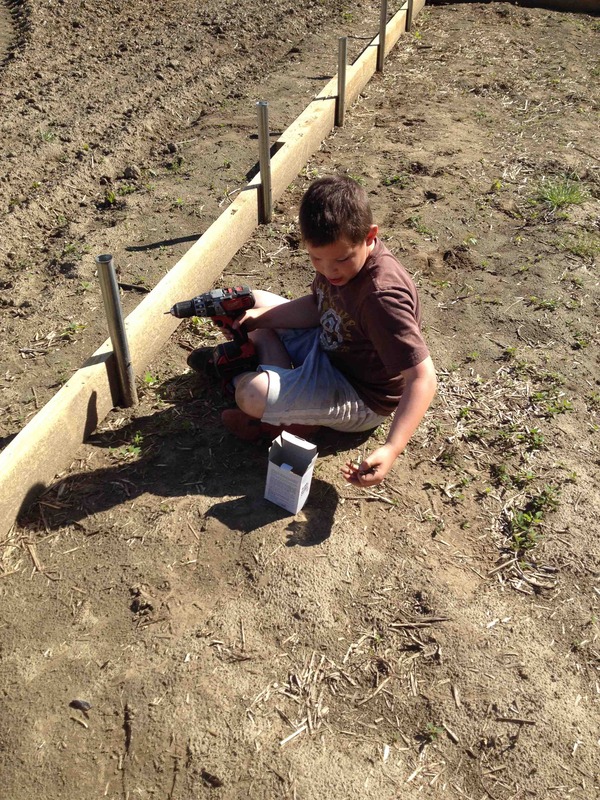 The raspberry canes will have access to plenty of sunlight and air thanks to our new stakes. 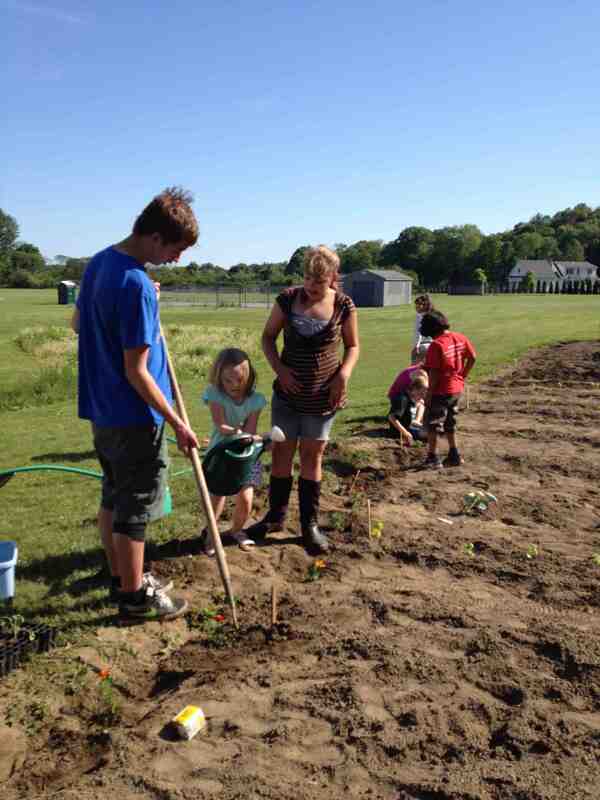 Children and adults will enjoy their yield throughout the summer and into the fall. 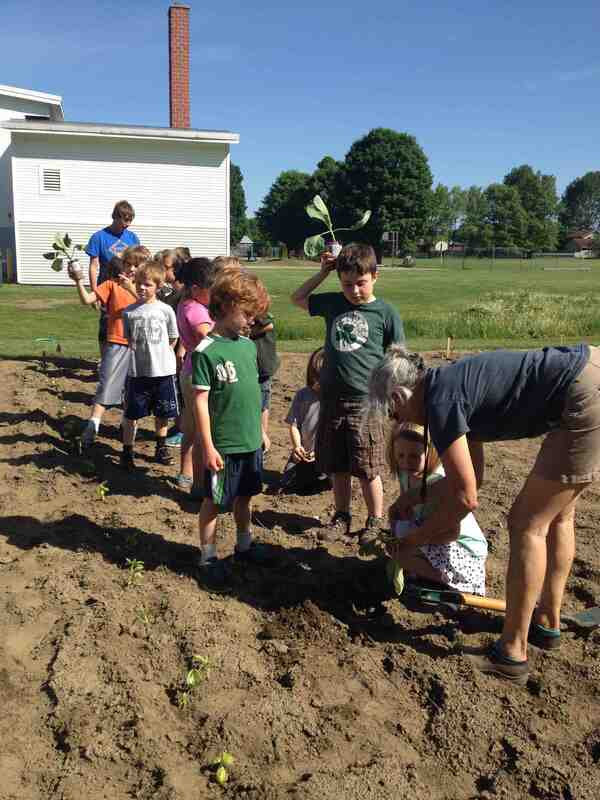 First graders in Ian Levy’s class heard the story of jack and the Beanstalk, illustrated their own renditions and then planted beans in recycled milk cartons. 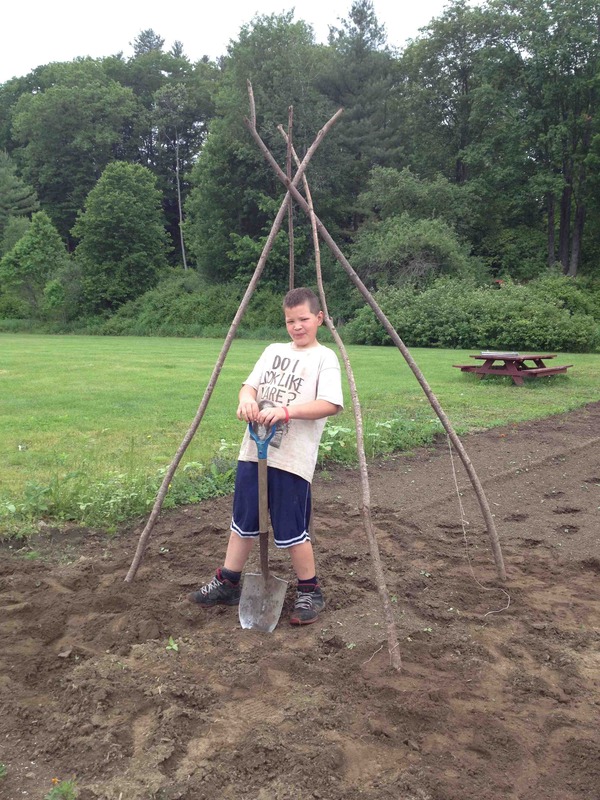 They’ll plant Scarlet Runner Beans under the teepee support that Jay helped dig in the southeast corner of our garden. 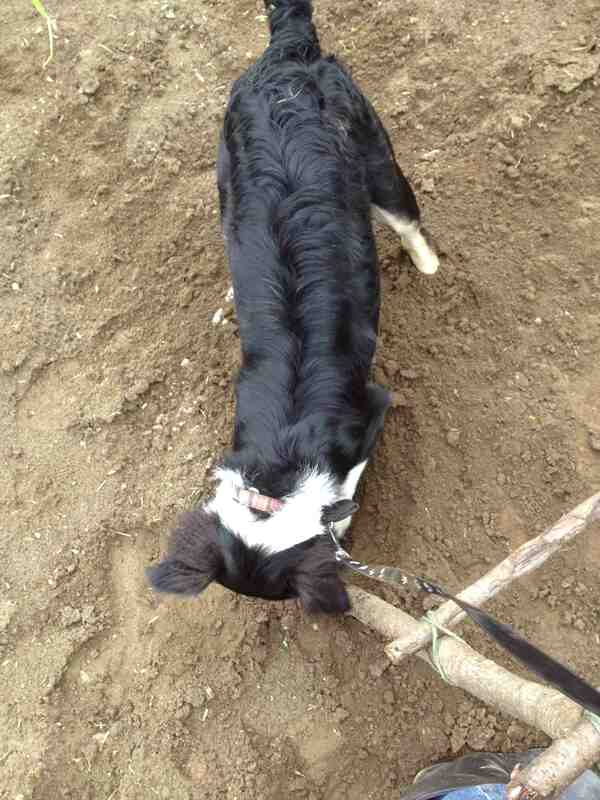 Jay had a little from Marley, the garden pup. 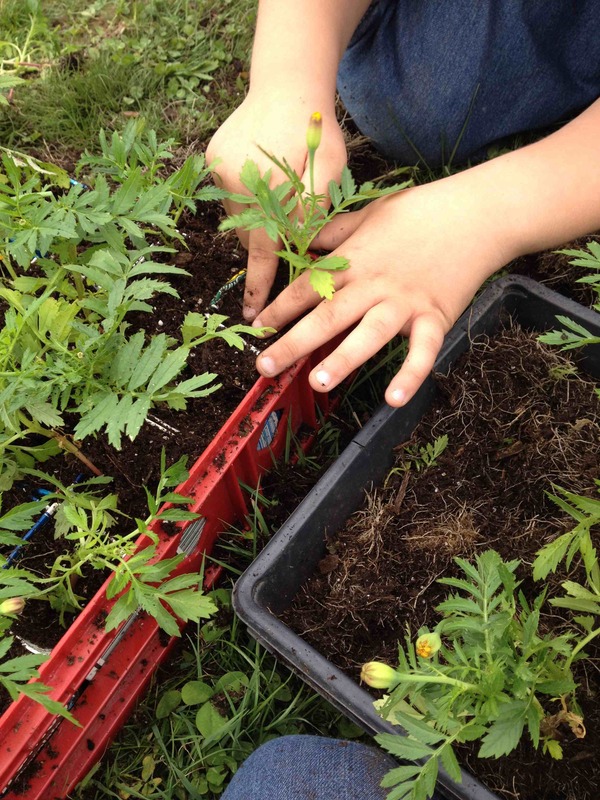 The After School Program took over marigold transplanting and selling this year. 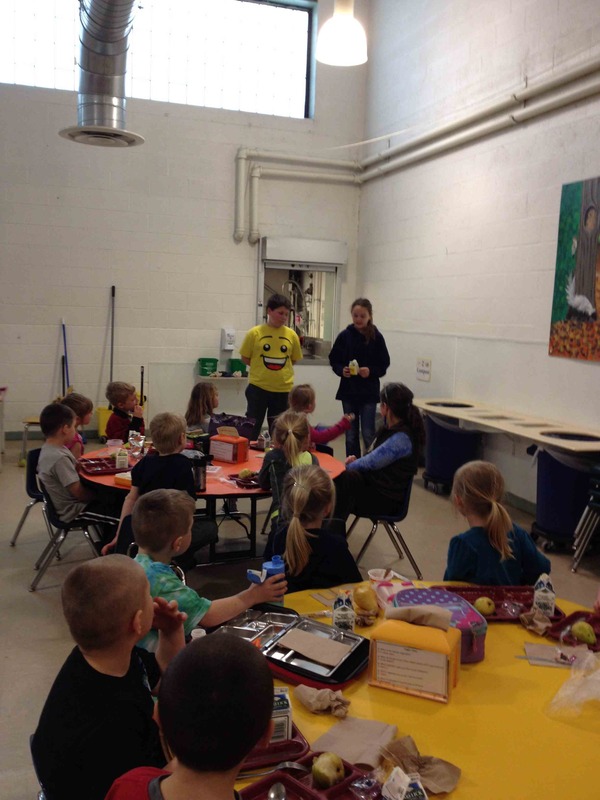 Sixth graders kindly volunteered to collect empty milk cartons from all three lunch groups; they demonstrated the recycling steps to each group. Then they washed them and put them up to dry in large plastic bread delivery bins. The After School kids reverse folded the milk cartons and punched three holes into the bottoms of each using sharp pencils. 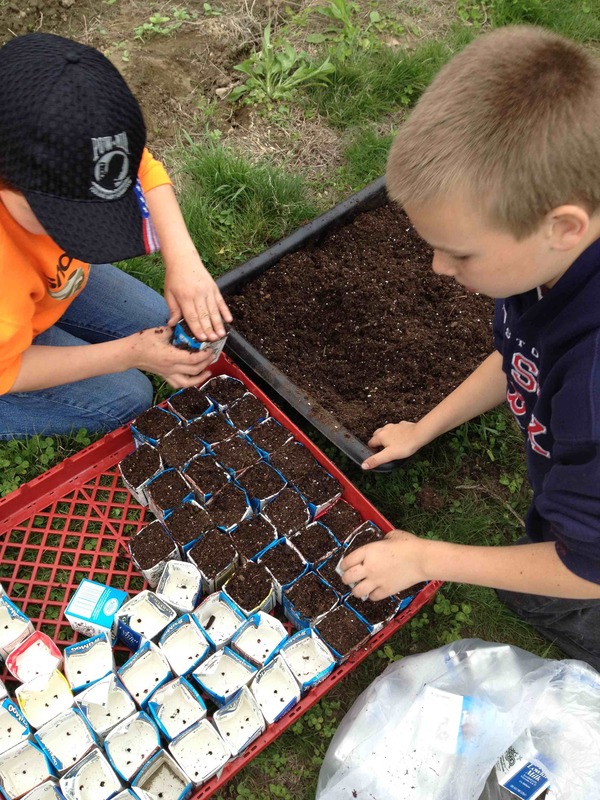 The milk cartons became small transplanting pots. 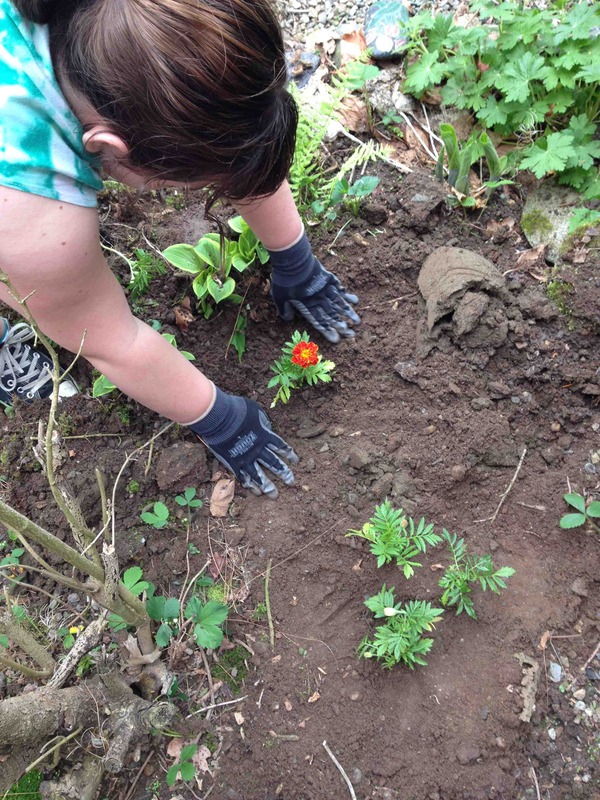 Some marigolds were sold to students before and after school. 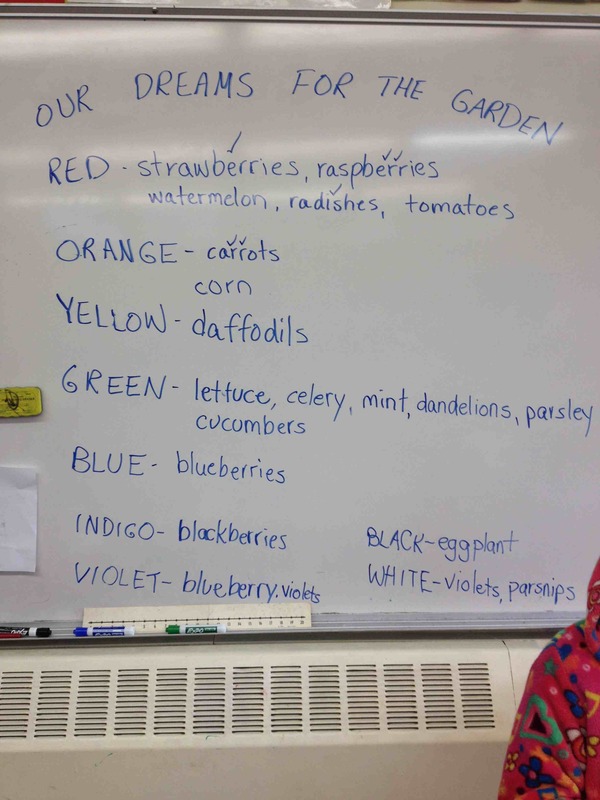 The rest were added to our school garden. If you scroll back to last summer, you can see how the marigolds fill out and create a hedge for our garden. In the photos above you can see the After School group transplanting them with help from a Jr. high school friend who once was a student here. 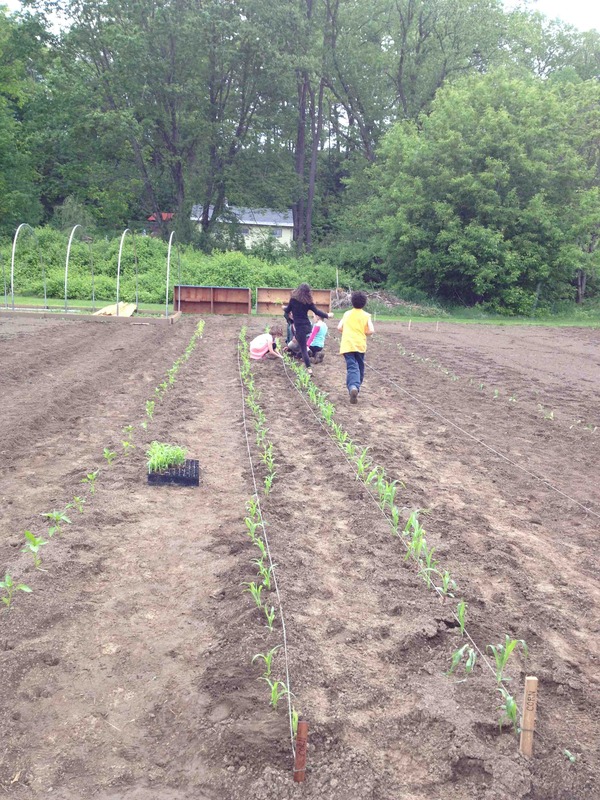 We also put in a few other crops that hadn’t been planted yet. Many of these children will return to school for summer camp a few weeks after school lets out. 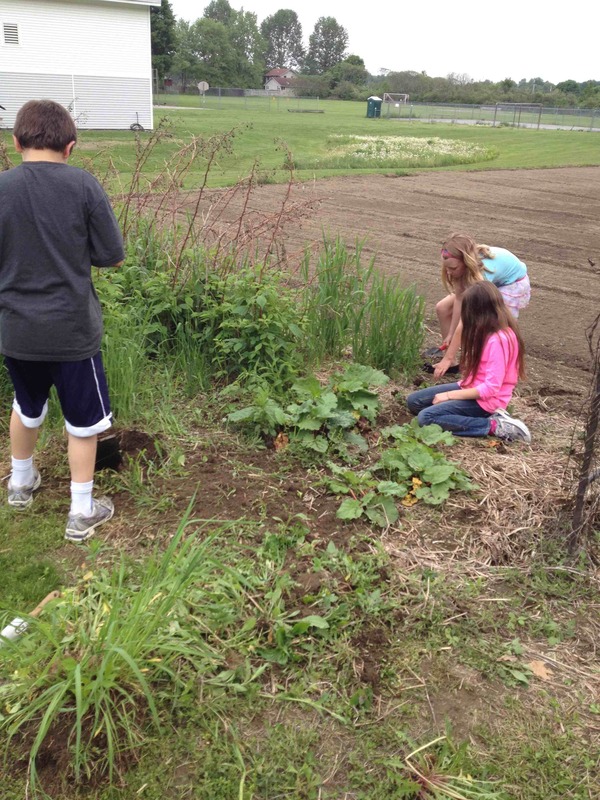 I’m looking forward to their surprise when they see how much change can happen in a garden in a few weeks! 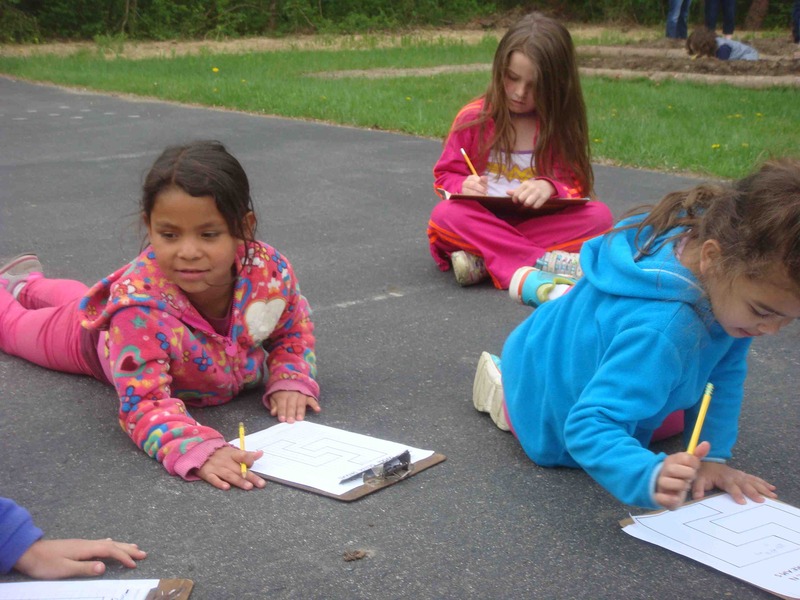 The courtyard in our school is a daily reminder of the changing seasons for students passing in the hallway. 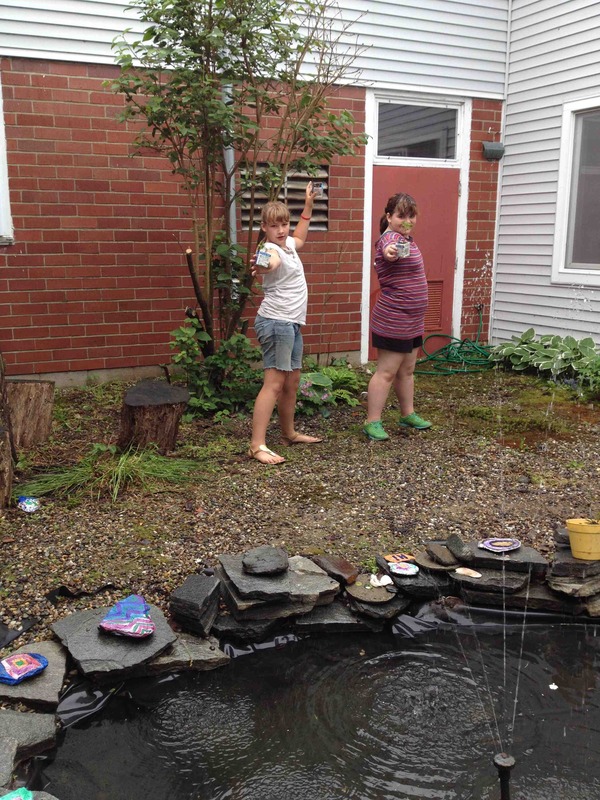 The pond freezes in December and is snow covered for most of January through mid-March This year fifth grader, Annaleeza, was back to spruce up the courtyard with her friends, Abby and Alexis. (You can also see Annaleeza working in the courtyard last year at this time by scrolling back to May, 2013.) 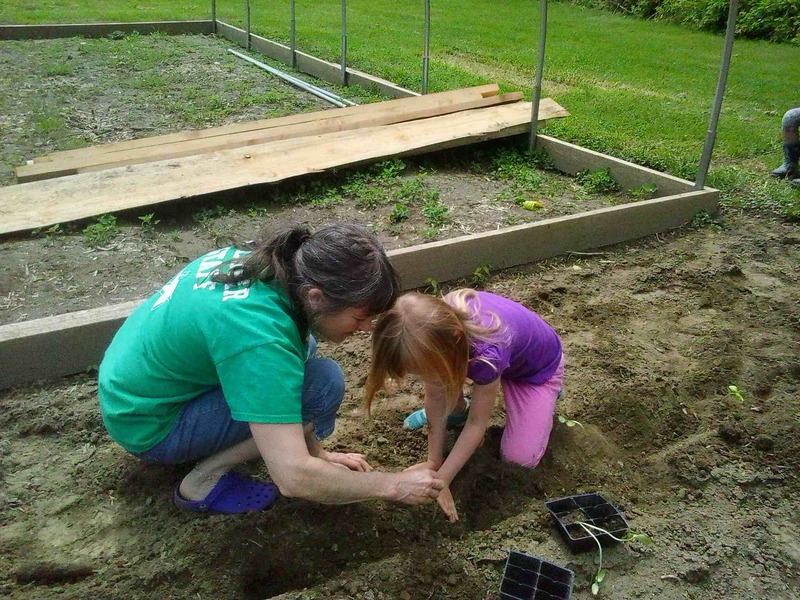 She showed them her method for transplanting strawberry runners. Together with her friends, decisions were made about what to weed and what to move. A group of sixth graders also worked hard to clean out the fountain. Our courtyard is looking good! The day was picture perfect. 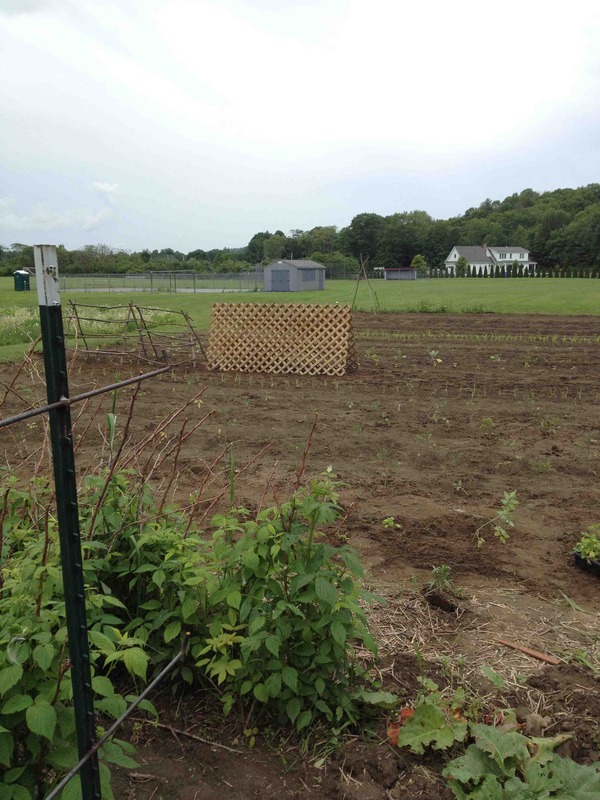 The garden was ready and waiting for 150 or so students to add their part to our outdoor garden classroom. 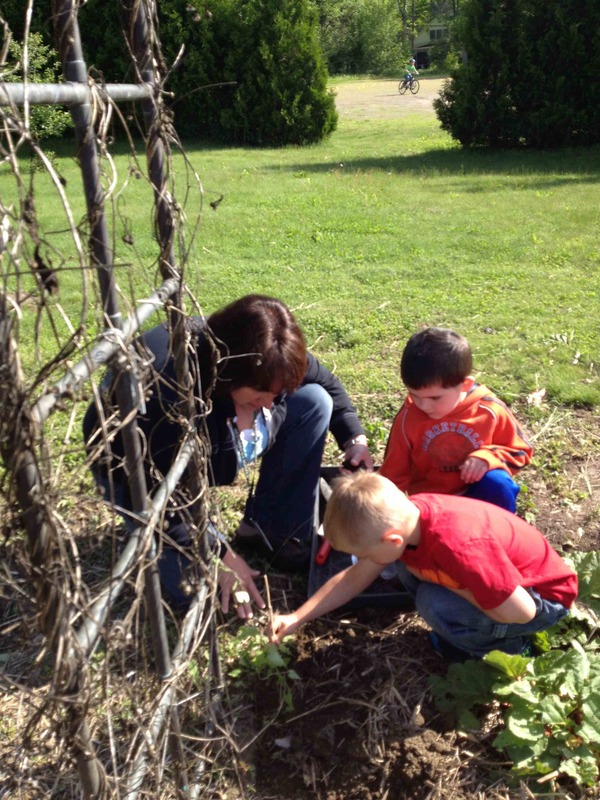 First to arrive were the Pre-K’s who offered morning glories they had started from seed. They planted them along the arbor entrance to our garden. 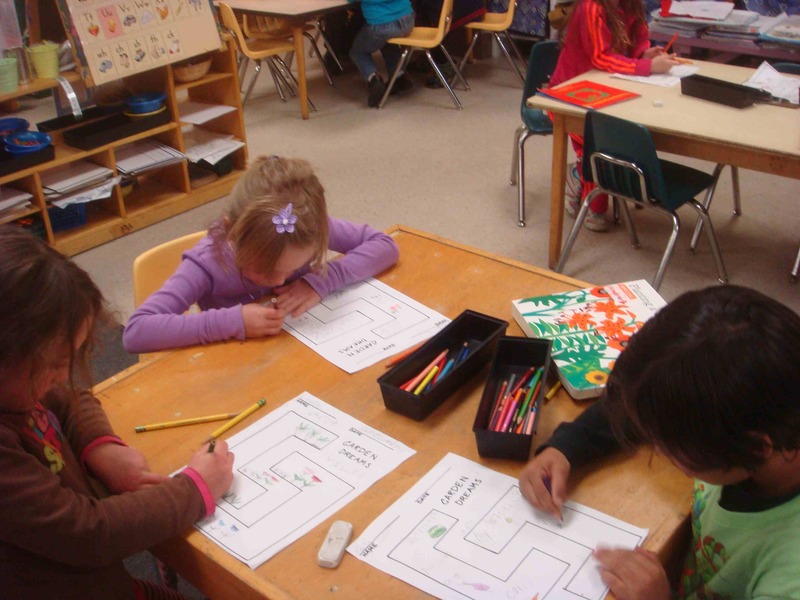 The Pre-K’s had also started sunflowers when they visited Kindergarten a few weeks earlier. 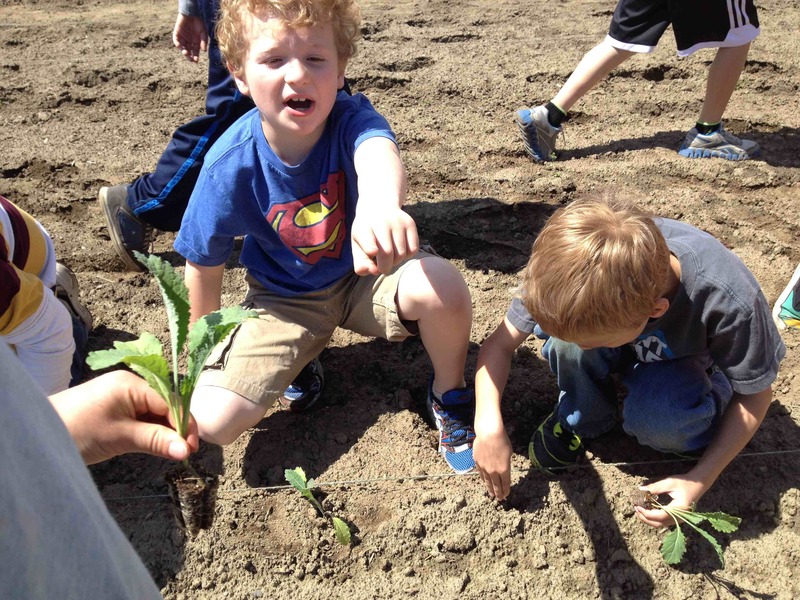 Their Kindergarten friends planted these for them in a square sunflower house. Next to visit were the 6th and 1st. grades. 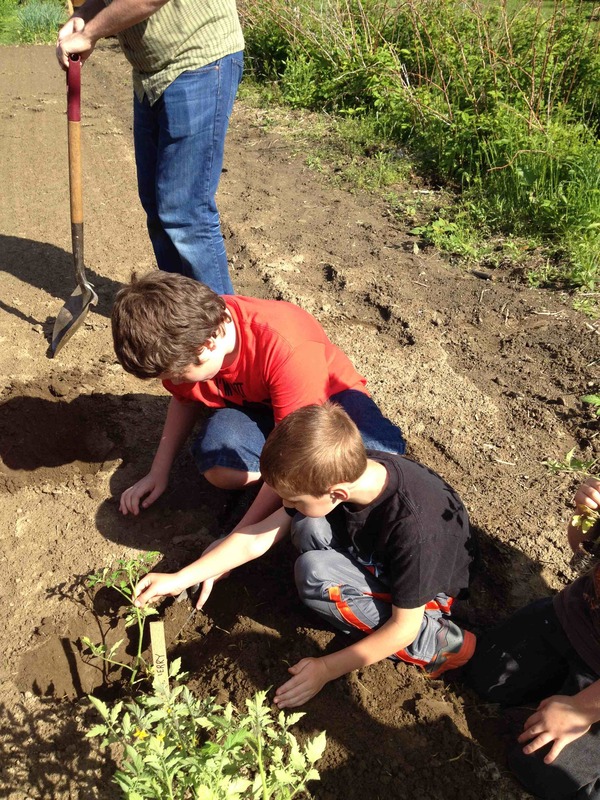 They partnered to plant three different varieties of tomatoes. Sun Golds are yellow cherry tomatoes that are sweet as sugar. 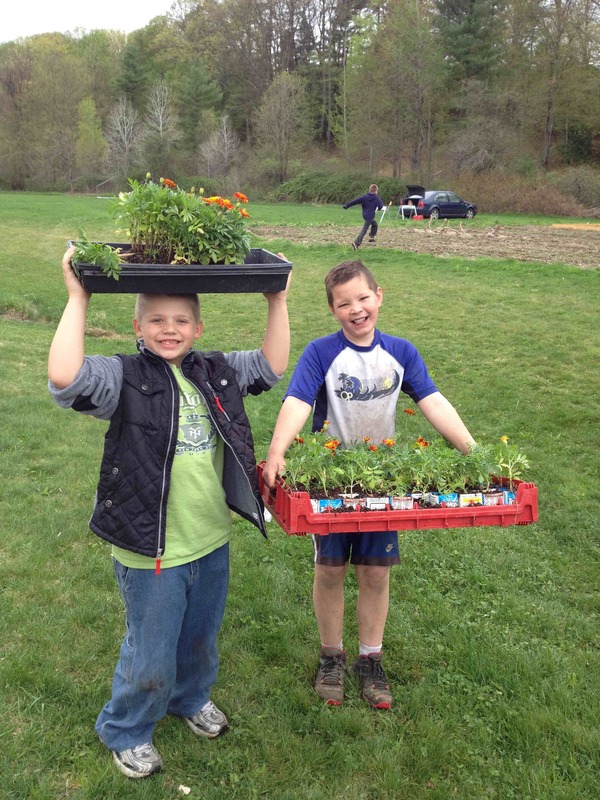 These will be ready when summer camp begins and they’ll keep bearing until the fall. Romas, a meaty sauce variety, will be harvested and frozen for winter tomato projects, like pizza making. 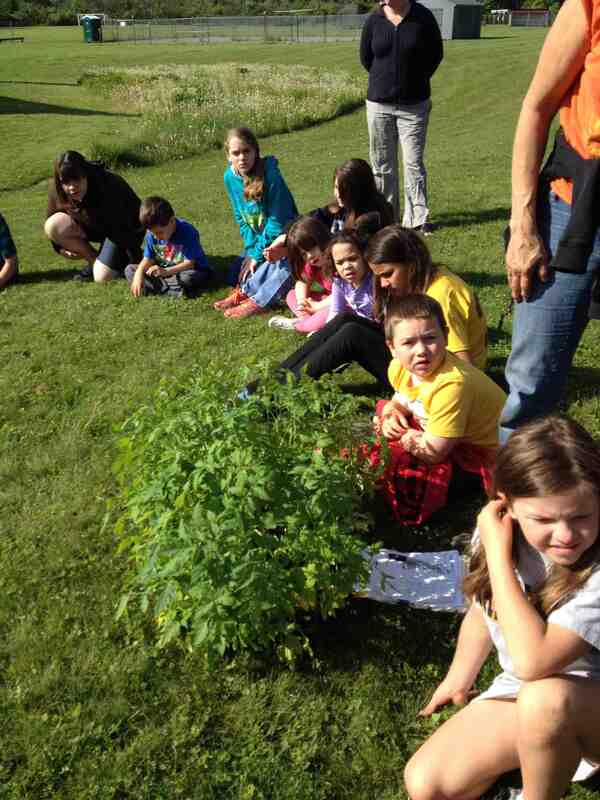 Beefsteaks, a large salad variety were started from seed by the After School Program students. These will be found in the salad bar this summer. 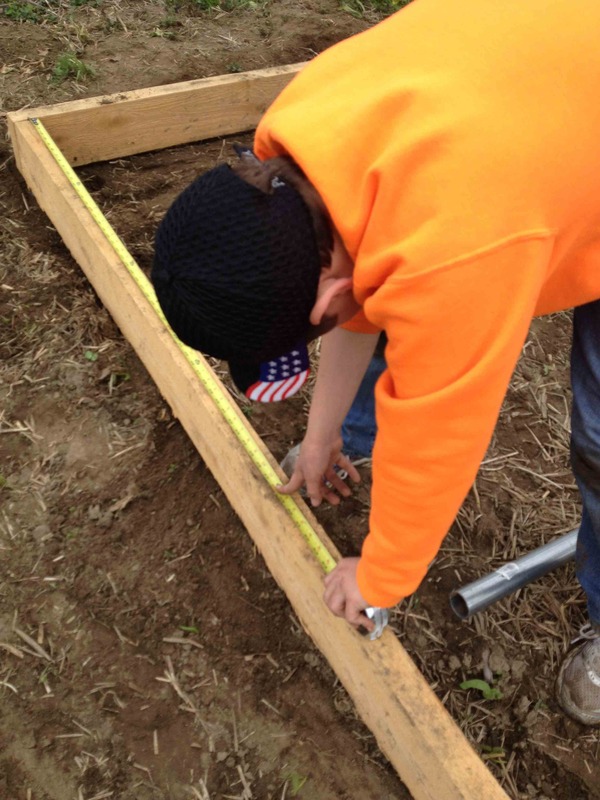 I’m hoping that the 6th graders will carry on the tradition of creating flags with memories of their garden to attach to the tomato stakes as a reminder of their time here. 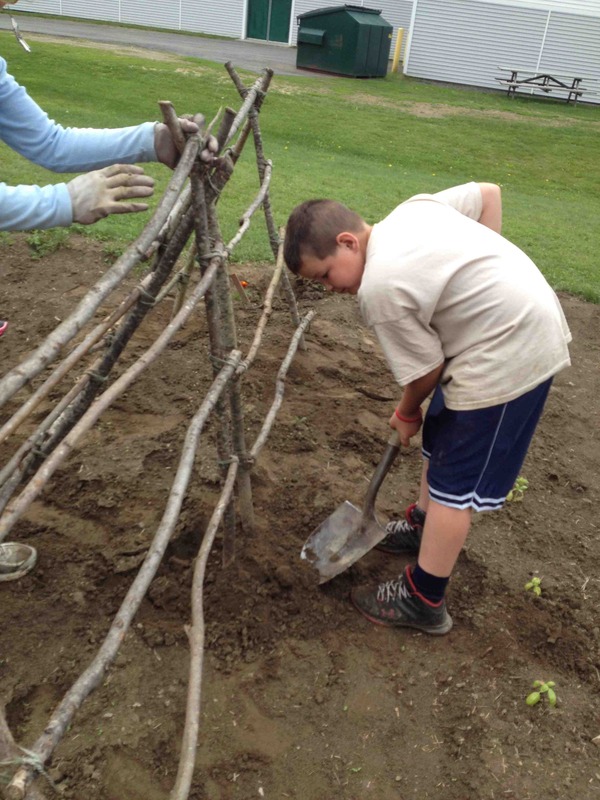 Two kinds of peppers were planted by the 4th graders. Sweet peppers are a delicious snack straight from the garden. Jalapenos are a bit spicier. 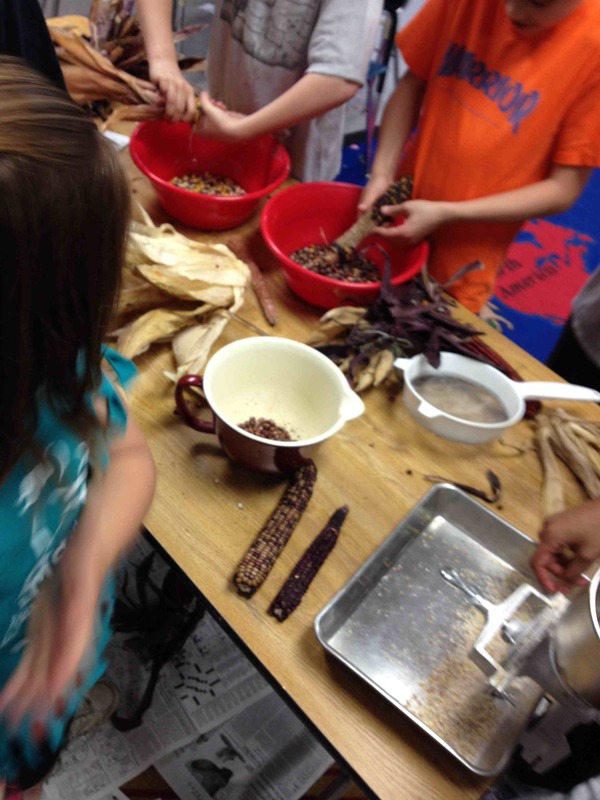 We’ll use those for making salsa, trying Indian recipes with Atasi Das’s class and for canning dilly beans! 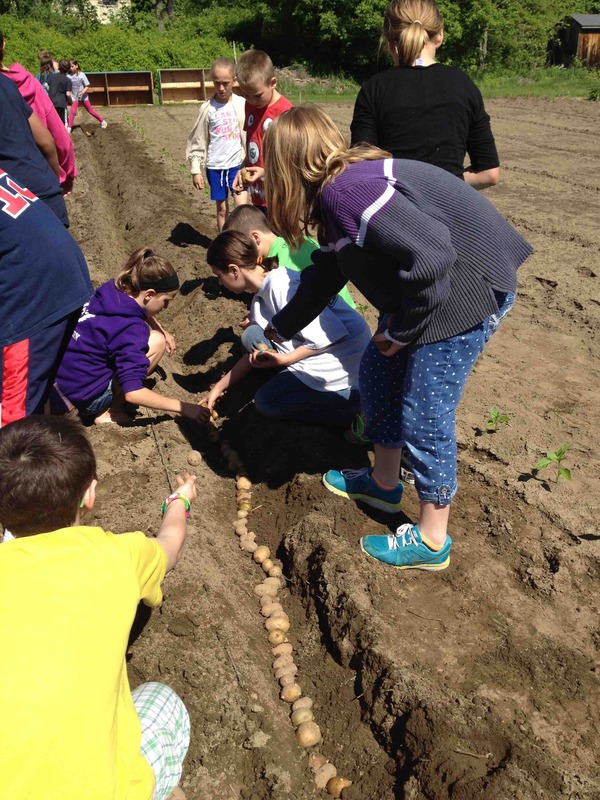 The 5th grade planted potatoes that they’ll use next year as 6th graders, not just for cooking and science, but for learning how to properly use a knife and fork. 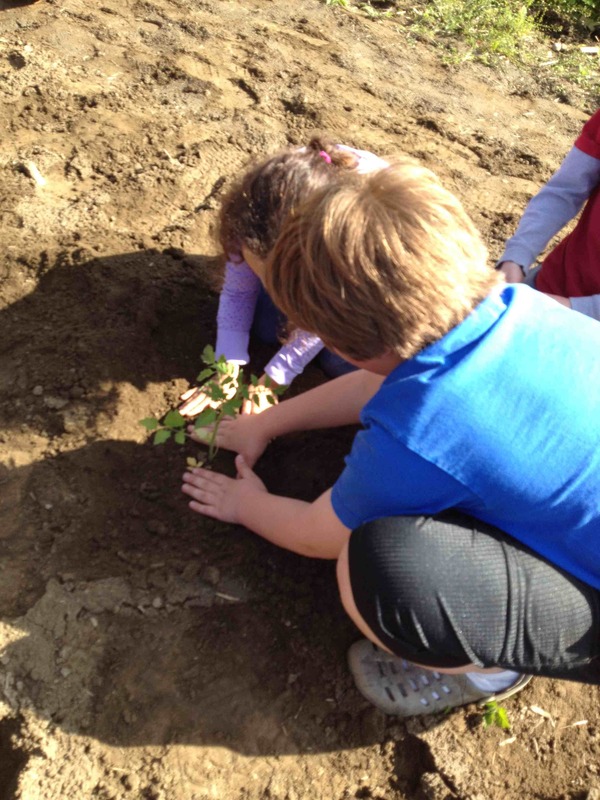 2nd graders planted our kale. We begin making snacks like kale chips and massaged kale salad in the summer months. Kale is a long lasting crop. We’ll still be harvesting it after the first frost. 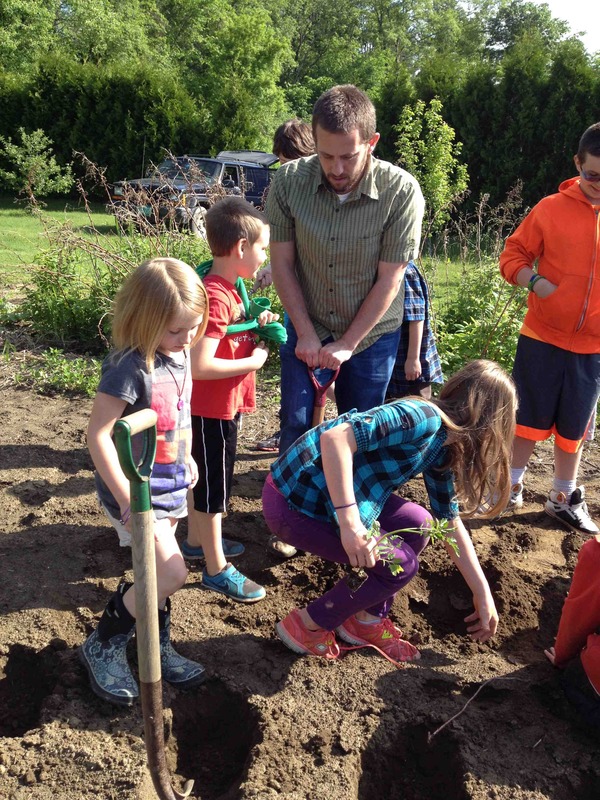 I’m hoping to make some yummy kale smoothies with campers this summer. 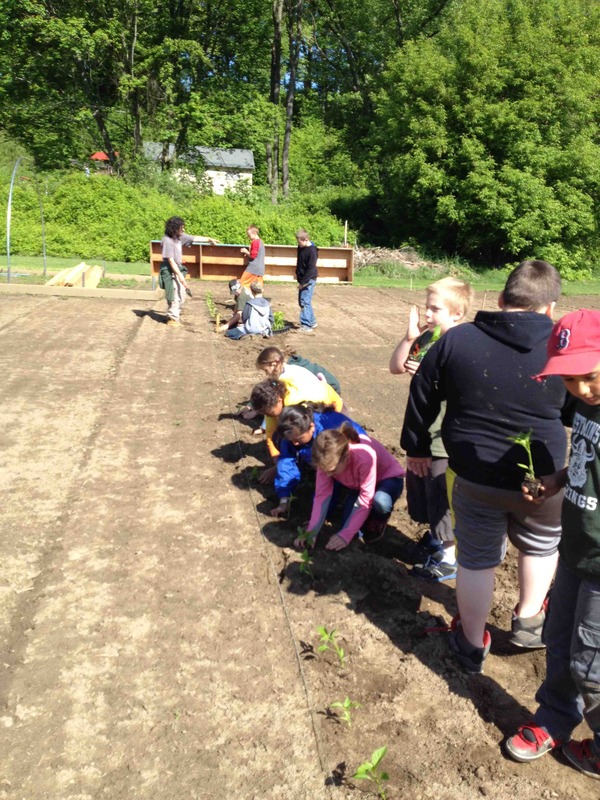 The 3rd graders planted 3 varieties of corn. 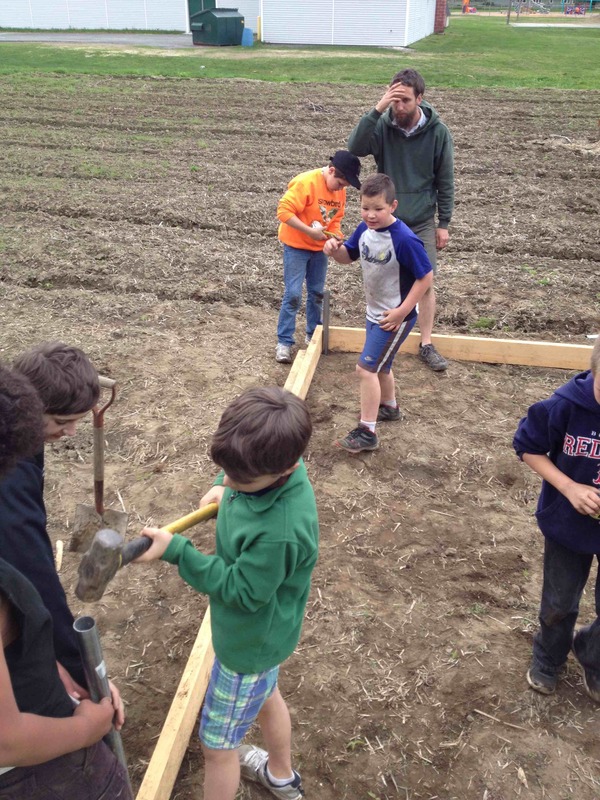 We are so lucky to have Paul Harlow as our sponsor farmer. 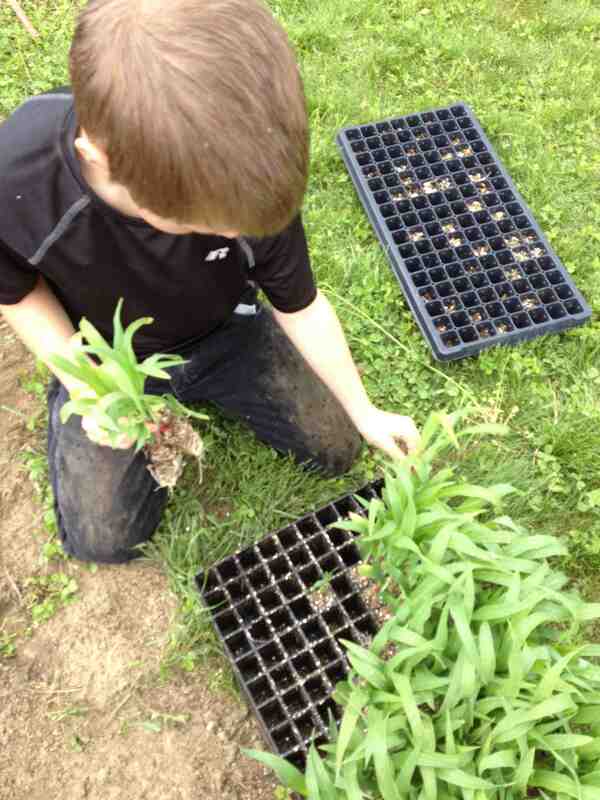 He donates seedlings for many of the crops we plant. 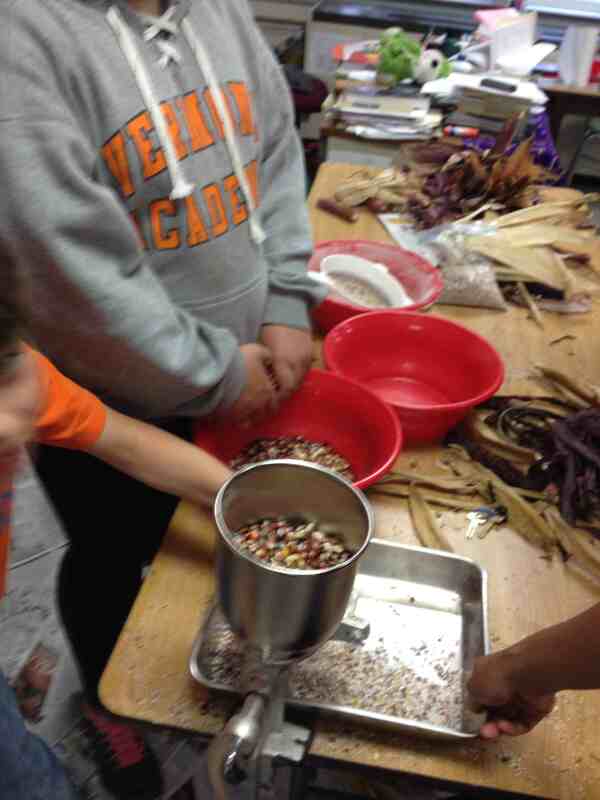 3rd graders will be responsible for harvesting and drying the popcorn they planted when they’re in 4th grade. The entire school will eat popcorn for snack once a week. 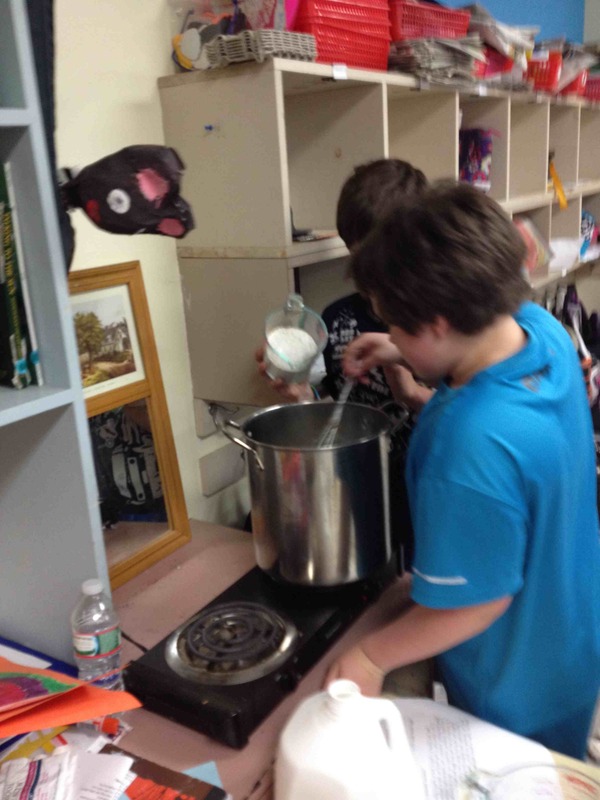 parent, Amy Rice Sciacca, once a student herself here, has been volunteering to pop our popcorn every Wednesday this year. 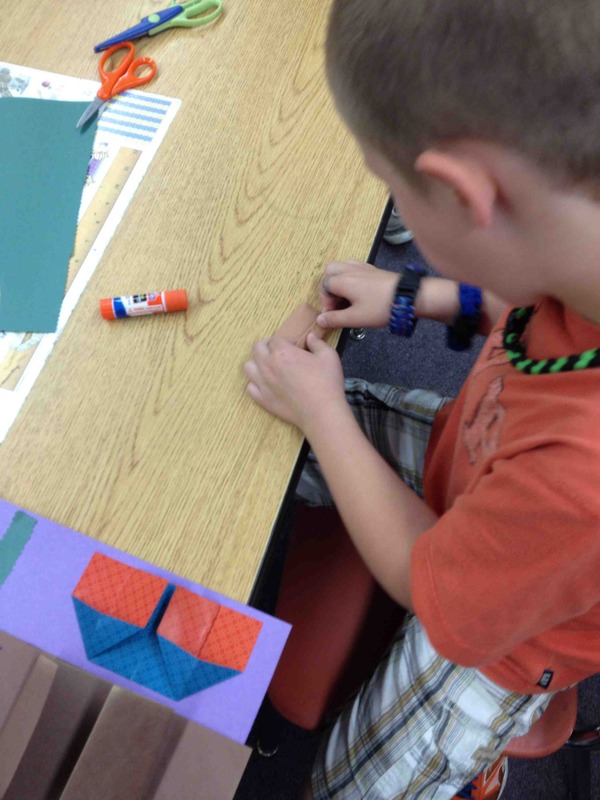 Thank you 3/4th graders and Amy! The other two corn varieties are sweet corn and flint corn (used as corn meal for grinding and baking). 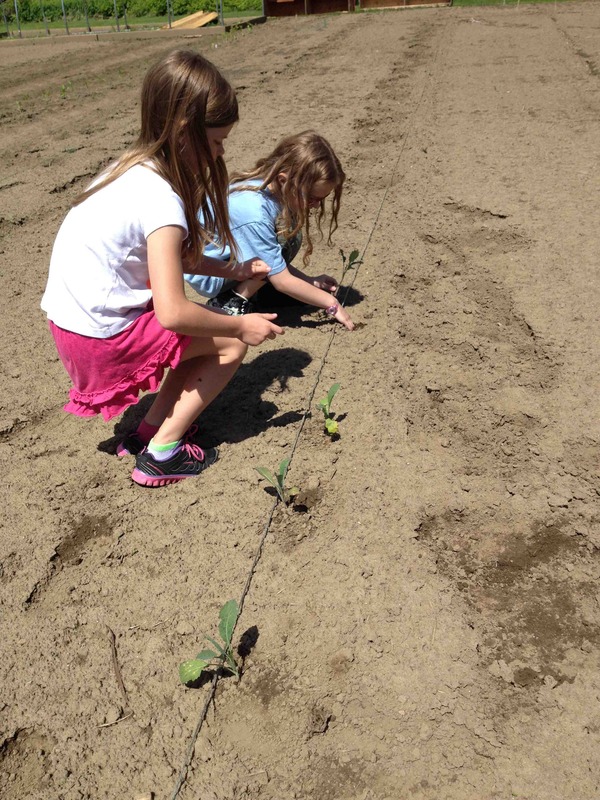 Kindergarteners planted their own crop; pie pumpkin seeds were planted in hills, 5 seeds to a hill for studies next fall. 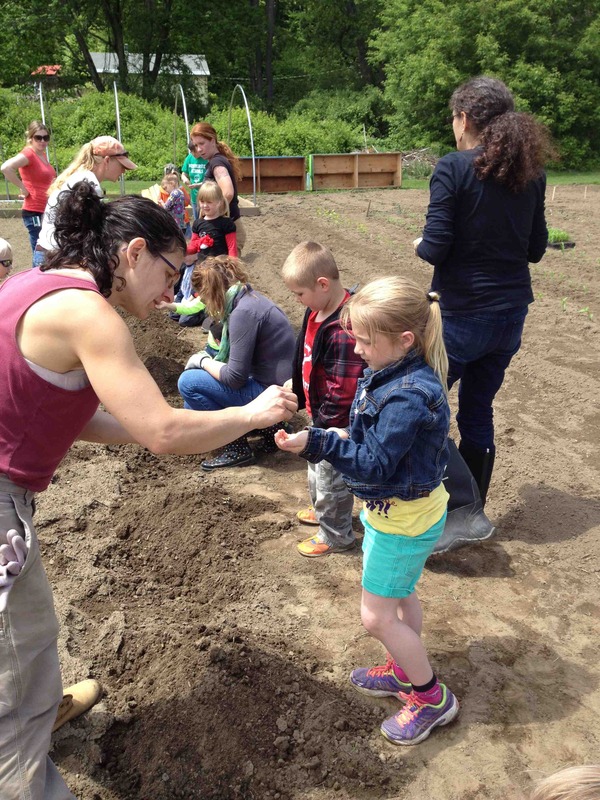 All classes are invited to partake of the bounty of ALL crops even though specific classes were assigned to plant each one. 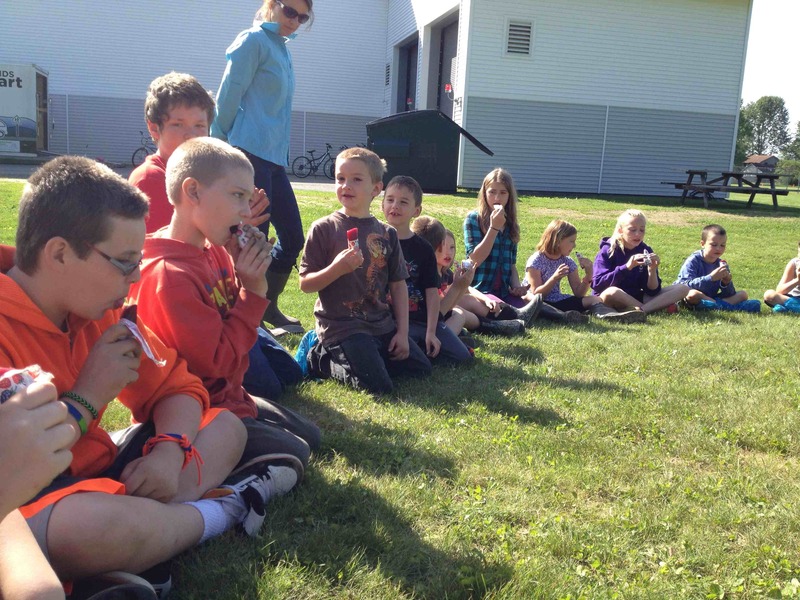 The sweet reward at the end of planting was a juice pop from Kim Kinney in the school kitchen. 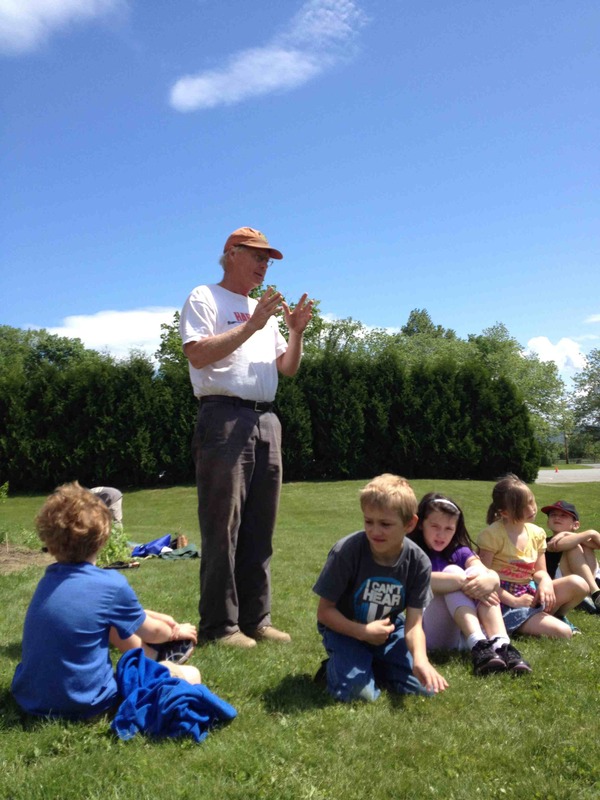 Where do I add that a bald eagle slowly circled above our garden for about 10 minutes while students planted! Incredible day. Incredible school! 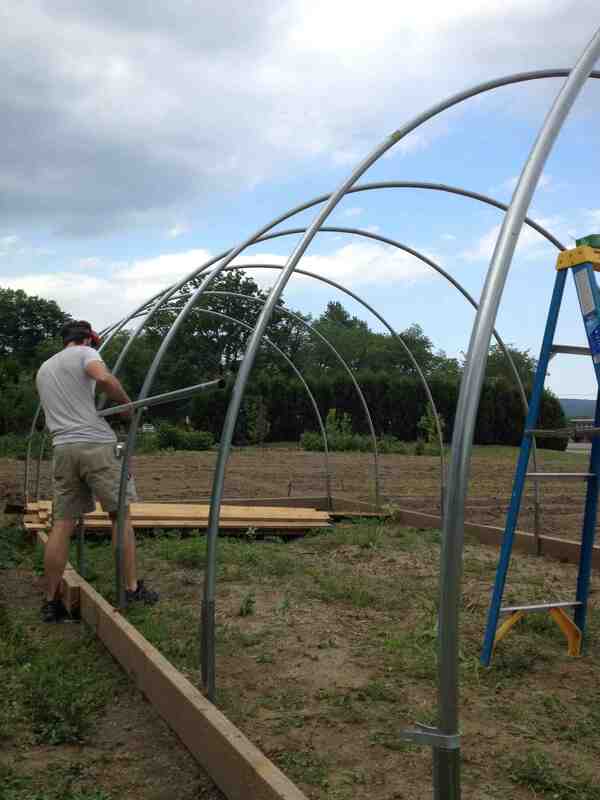 We’re Building a Hoop House! 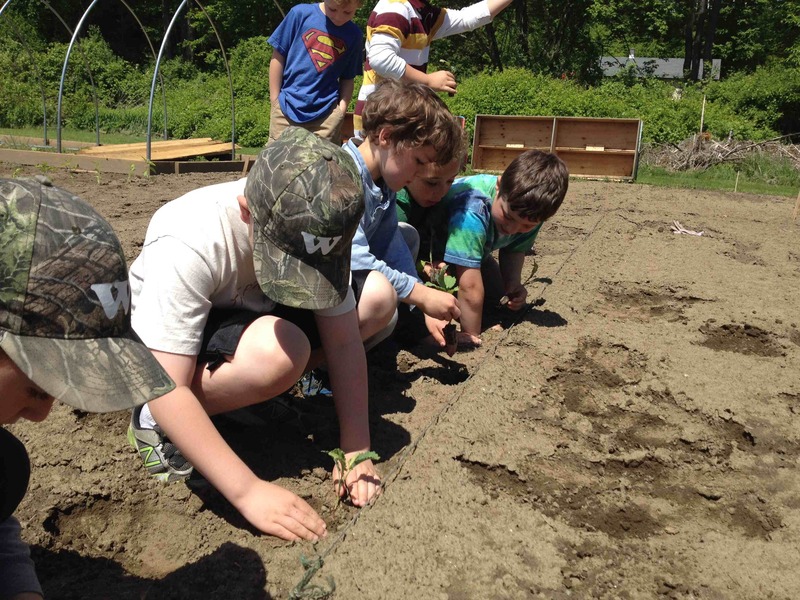 Thanks to the New England Environmental Grass Roots Seed Fund and the Holt Foundation, the Westminster Center School has the funds to begin constructing a hoop house. 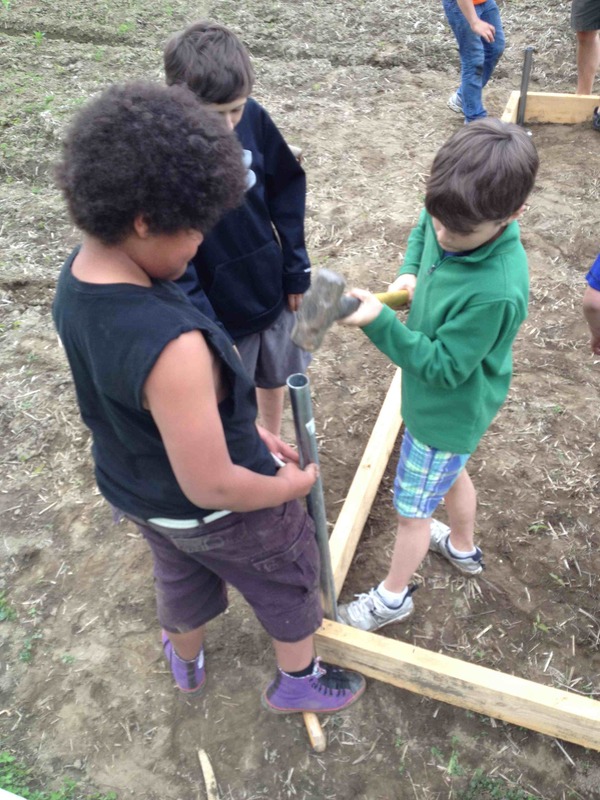 With donated wood from a former WCS student, John Parker, the groundwork was laid by fifth graders supervised by their teacher, Jesse Wampler. 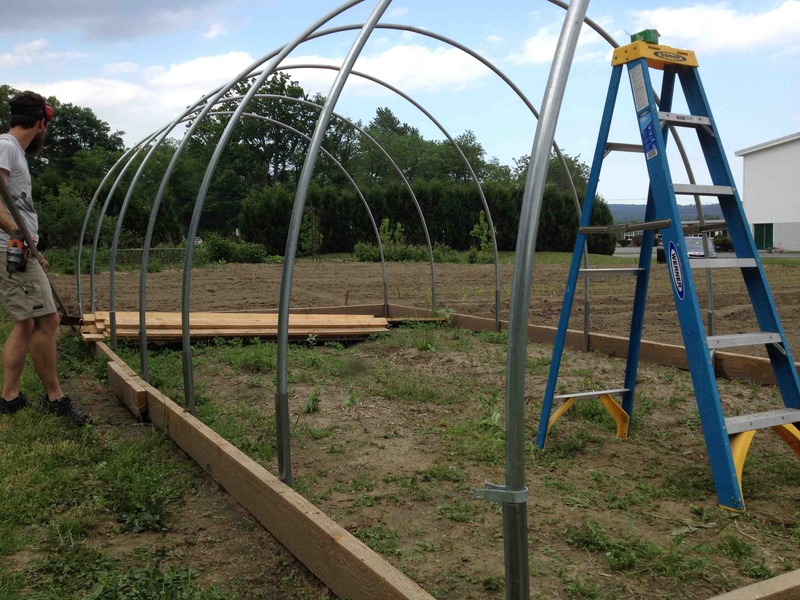 The students in the fifth grade and our After School Program students will see the construction of this hoop house through to its completion. 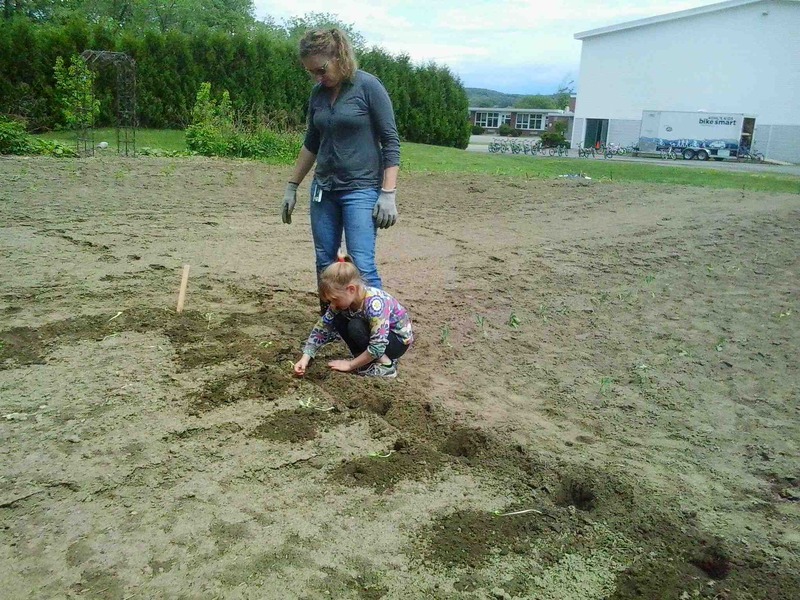 We hope to extend our growing season in the garden by several months in the spring and fall. 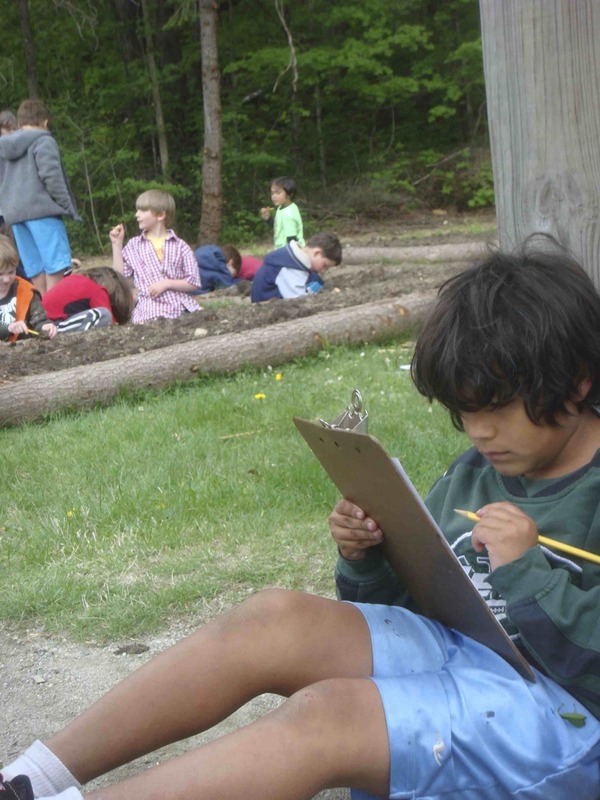 Look at all the possibilities for learning in the photos below! 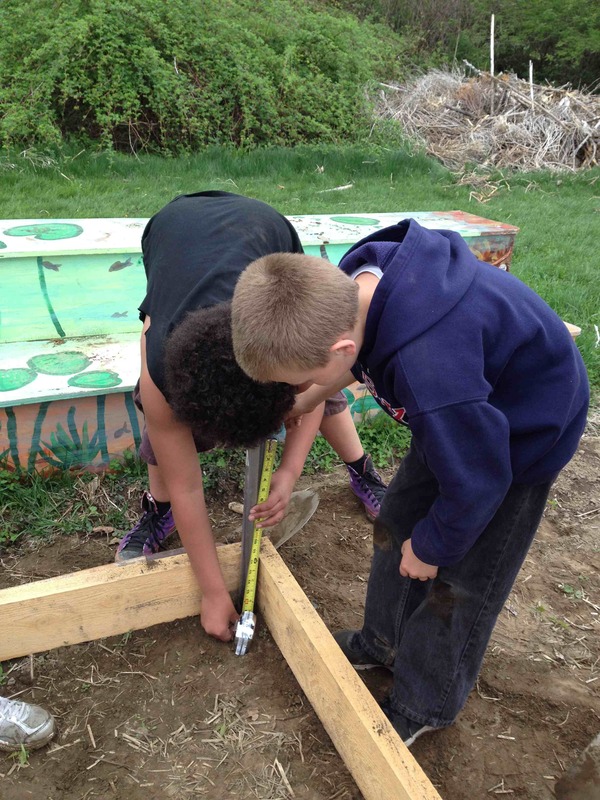 Students at Westminster West School are excited about the new raised bed gardens that their parents and community members constructed for them. 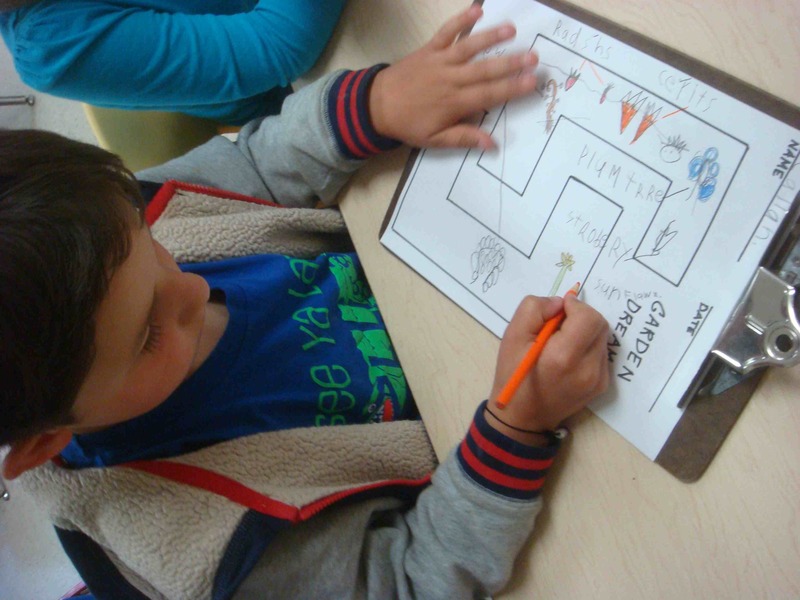 The K-3rd graders generated a wish list together of what they’re dreaming of growing. 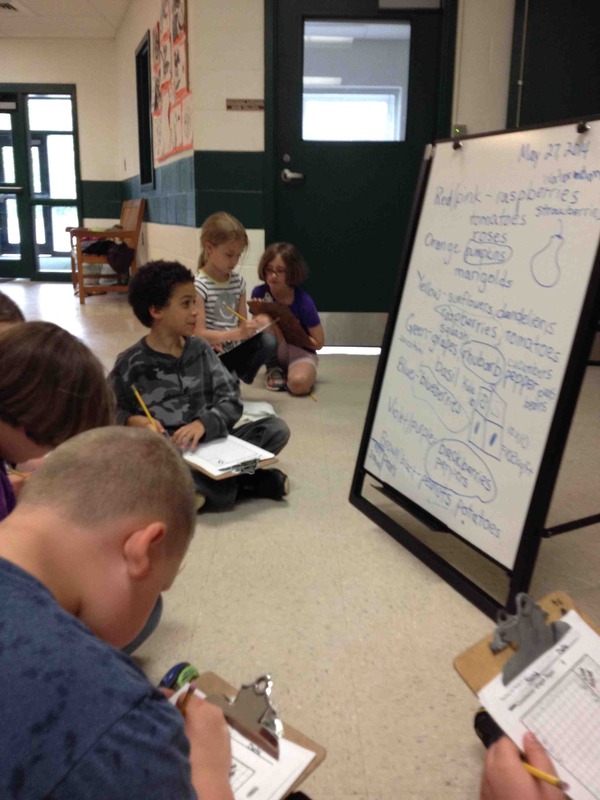 Then they went to work mapping their own ideas. 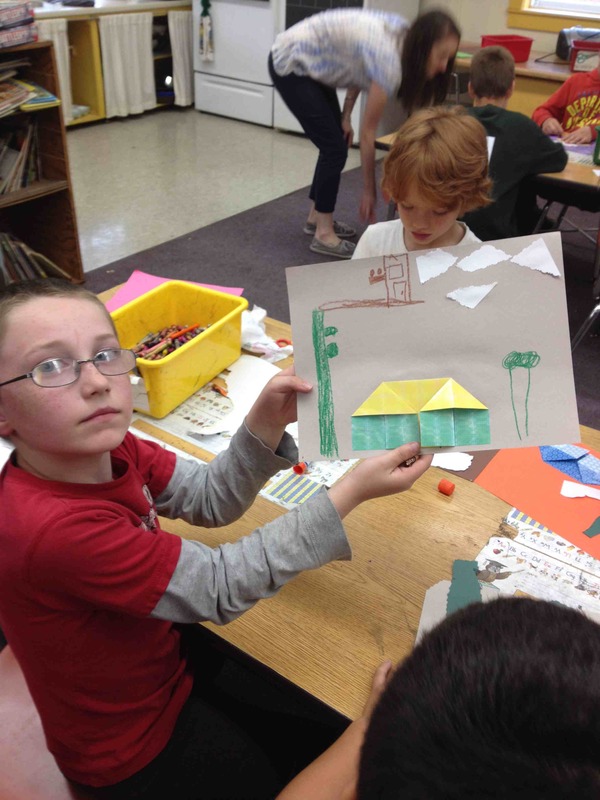 Second and third graders participated in similar brainstorming and mapping activities at the Westminster Center School. 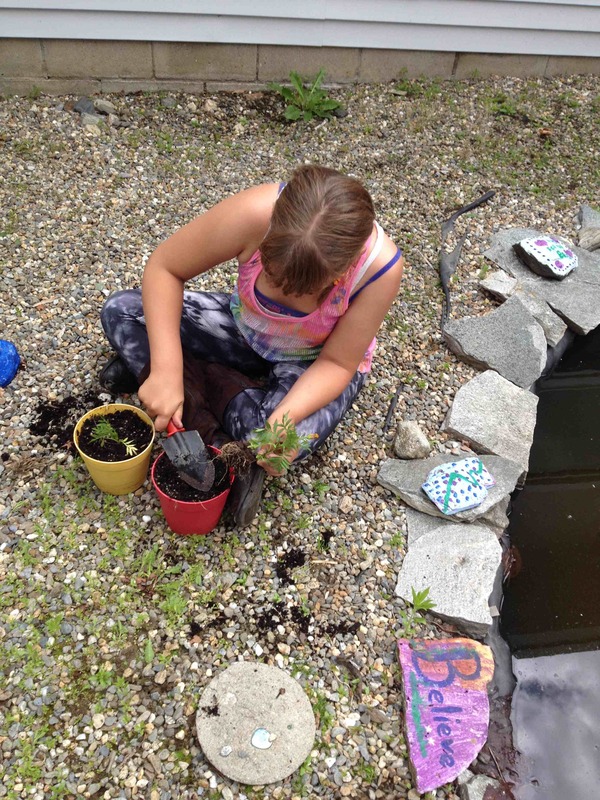 The stormy weather made us have to retreat to the cover of the classroom for some of this activity, but you can see that the rain held off at the Westminster West School! 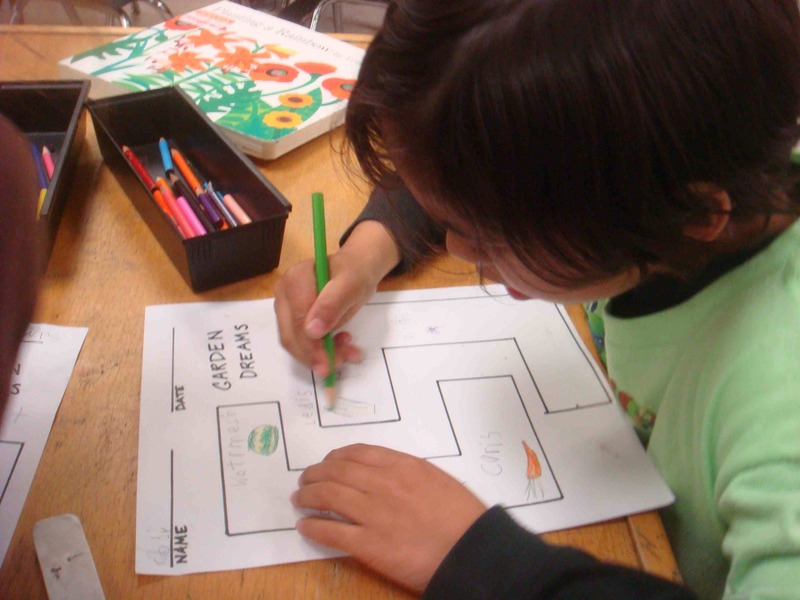 Maps in both schools were drawn approximately to scale, giving the students an opportunity to think about the dimensions of their gardens as they planned. 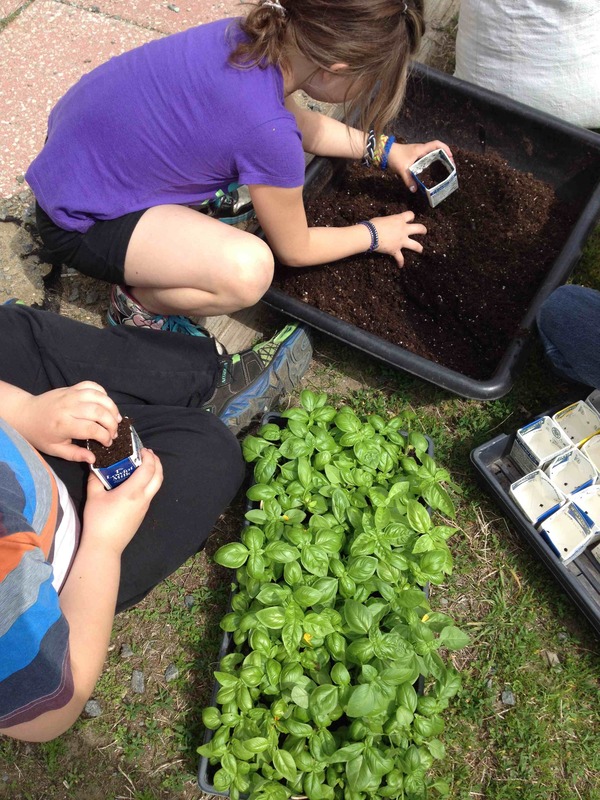 Third graders gathered their observations about the best place for planting basil after almost two months of comparing classroom seedling growth with photos of the basil growing in the greenhouse. 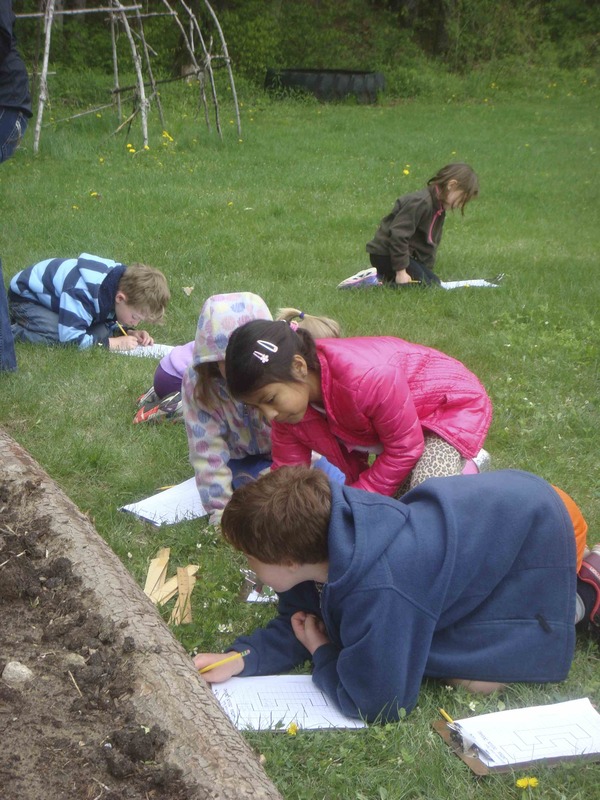 It was almost a tossup between Harlow’s greenhouse and the seeds planted in their classroom window. The carton of seeds set in the desk drawer sadly did not survive. 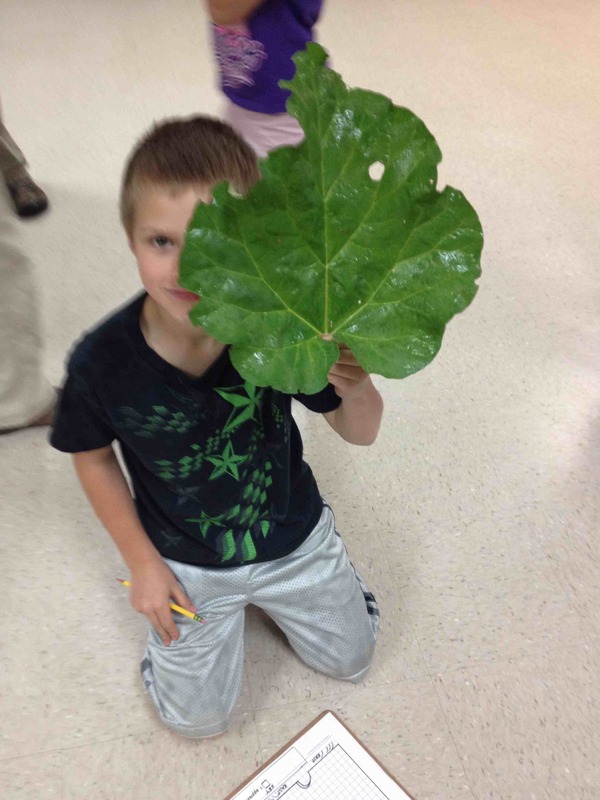 Everyone agreed that sunlight was a huge contributor to plant growth. 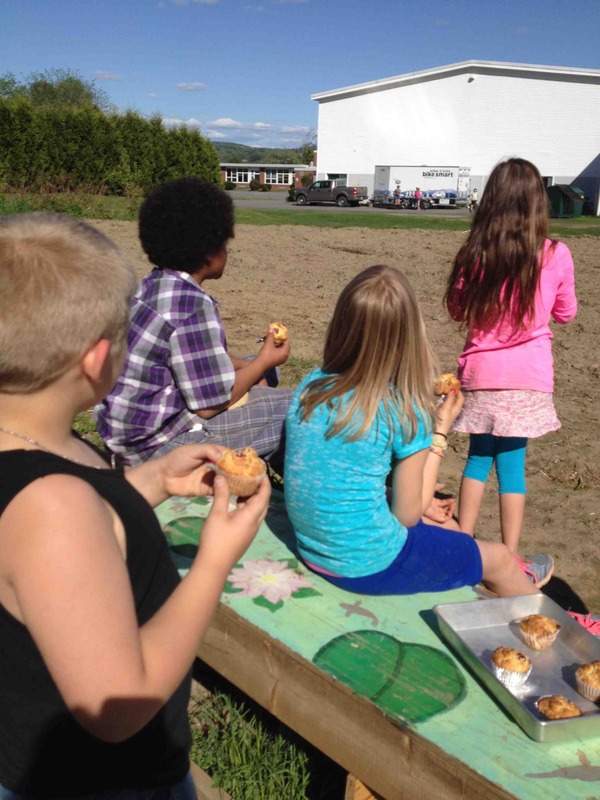 These young scientists have been enjoying eating weekly plantings of sprouts in their classroom since late March! 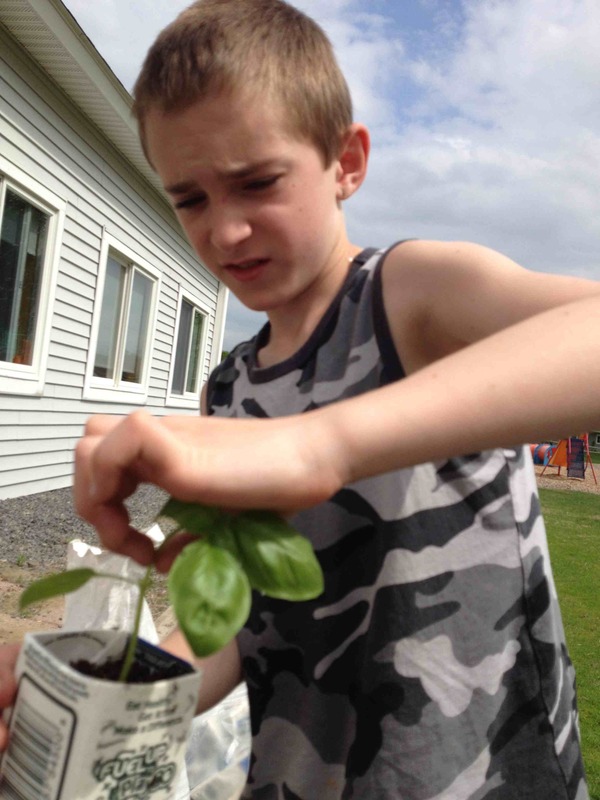 The rest of the greenhouse basil seedlings will be planted in our school garden this Friday. 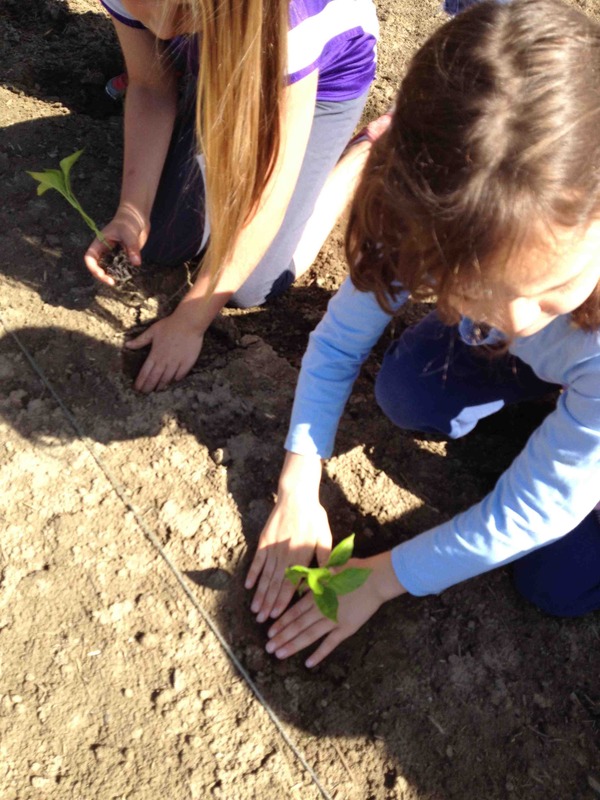 Some seedlings were already transplanted and taken home by the third graders. 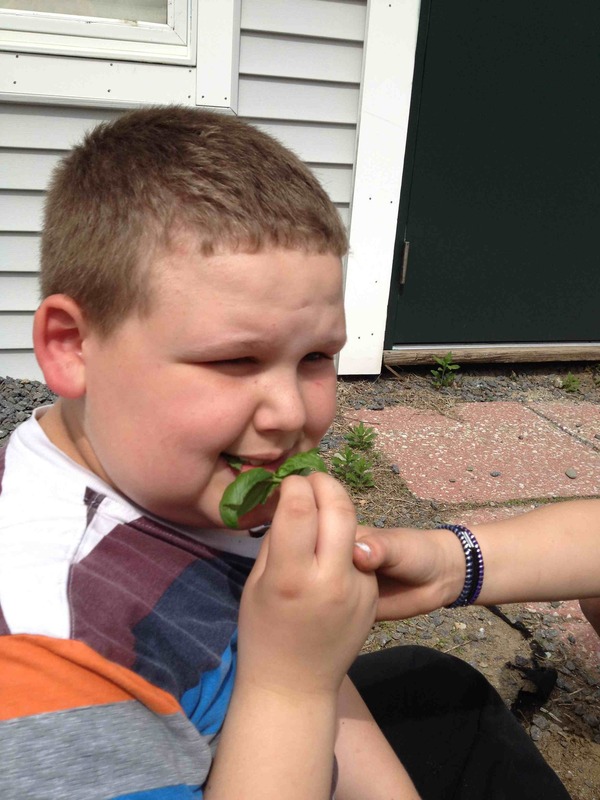 They had a little taste test of basil leaves while transplanting. 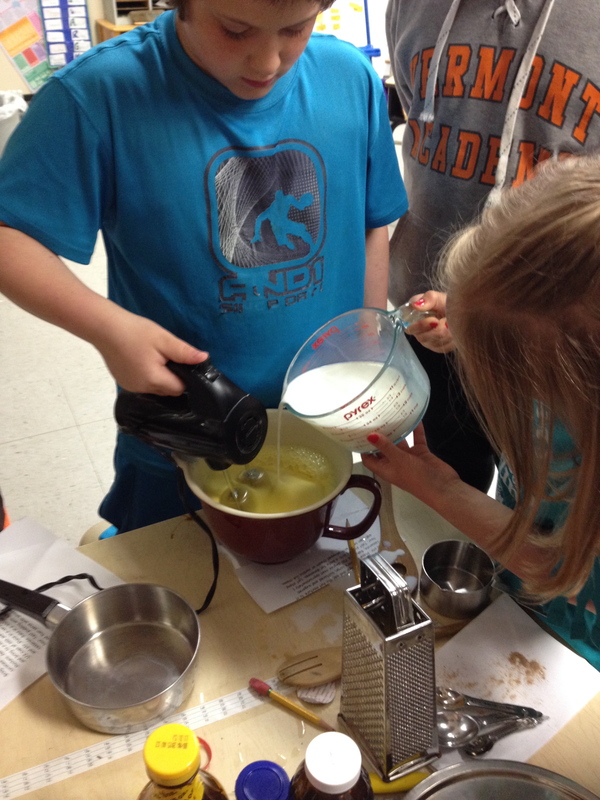 Just in time for their trip to Sturbridge Village next week, the second 5th grade class at school tried their hand at grinding corn and making baked corn pudding. This time we also created a vegan version, substituting tofu for eggs and soy milk for cow’s milk. It CAN be done! 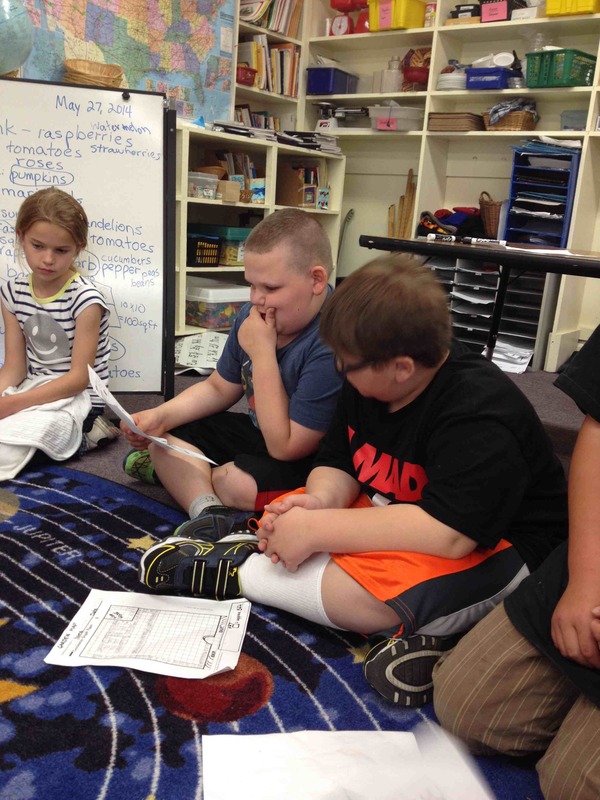 Nutmeg and molasses have become new friends of the fifth graders. I wish I had taken some photos of the kids enjoying their pudding. I was too busy dishing out thirds and fourths!